This is the last known design of the Spacewolf space fighter planes used by Space Pirate Captain Harlock and his crew. It has an elongated by streamlined aerodynamic hull design, along with two extra powrful engine thrusters mounted to the wings for speed. With the longer fuselage and extra seat was installed for another gunner co-pilot or simply a passenger. Weapons were improved upon with the updated design features. 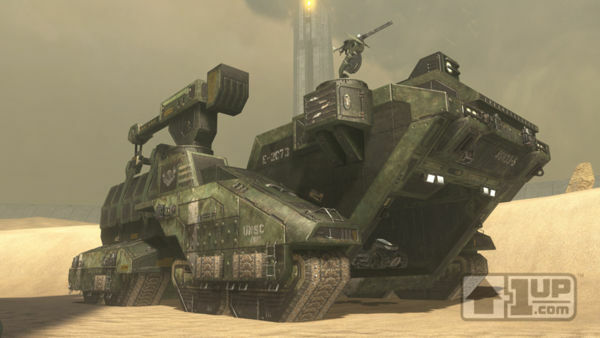 The focal blasters having slightly more damage from even greater power output from the engines and power core.Also, the concussion missiles now used by fire-linked launchers having three-missile internal magazines each, with an option of single-fire instead of the fire-linking. Now having a three-engine thruster design, speed and maneuverability were greatly improved over the previous designs, making the Spacewolf Mk.II possibly the deadliest fighter of its time, hard to catch, hard to fight, and able to outmaneuver and outgun almost anything it ever came across. Captain Harlock is shown performing a daring rescue of one of his crew with other Spacewolf pilots where once the crew member was saved, they boarded the fighters and blasted their way out of the base, encountering many defense fighters on the way and easily besting them while on the run. In my current game, the Arcadia is an ancient battle ship found by the players, having several of its old fighters left in its launch bay. It was used by Captain Harlock himself in the Star Wars setting in the distant past much the same way as portrayed in the series I have seen. The ship came with many of the different designs of the Spacewolf fighters, many still usable after some maintenance. The stats given here are superior to the previous Mk.II and Mk.II designs. 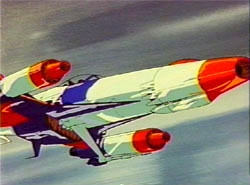 the weapons are comparable to the Z-95 in firepower, which would have been powerful indeed in the past before the Z-95s existed, while the Mk.III's speed would have been far superior to ABSOLUTELY ANY kind of standard starfighter back then, courtesy of Tochiro's custom designs to give Harlock the best space fighters possible. The Mk.III's design would still stand up to more modern starfighters of the Rebellion Era in Star Wars, keeping pace with the X-wing and outgunning the standard TIE fighter. With its older design and technologies, it would be very posible and somewhat easy to update the Spacewolf Mk.III with newer equipment to improve it even further, as listed below. These are with replacement parts to current systems, or installation of more modern systems and equipment to replace the older ones. Modifications such as those in Galaxy Guide 6: Tramp freighters or the Revised Star Wars RPG rule book and other sources, could be done after these have been performed to the Mk.III. -Weapons could be replaced with modern equivalents like laser cannons with better damage and range (5D to 6D damage, 1-3/12/24 range), and concussion missiles with +1D damage, or even replacing the entire launcher system with proton torpedoes like on the X-wing. -Also, the Spacewolf Mk.III would be the best fighter to modify with better engines as noted in Galaxy Guide 6: Tramp freighters and other sources. Since these engines usually come in a pair for their full speed increase, they could easily be mounted to replace the two engine thrusters on the wing sections. But since the Mk.III has a third main engine on the aft section of the fuselage, the fighter could be modified to feed power to both it and the newer engines, making the entire setup have the listed speed at +1. An idea would be to aquire a set of Starscream 9 engines, mount them to replace the wing engines, modify the power systems and engines to work together, and grant the Spacewolf Mk.III a Space Speed of 13!! !